I pity the fool that didn’t watch this movie. The first CD player is sold in Japan. The computer is named Time Magazine’s Man of the Year. And it’s the same year that the third installment of the Rocky franchise is released: Rocky III. I’d argue that this movie was a turning point for the series, going from a drama with action sequences to an action movie with dramatic sequences. Having said that, the movie is still very entertaining and can teach us a lot about learning to deal with setbacks, fear and loss, and how to climb your way back. At this point in the story, Rocky’s on top of the world. He’s successfully defended his title various times, and he’s achieved fame and fortune. 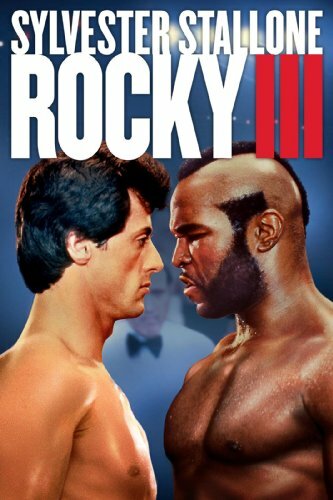 While Rocky’s having charity wrestling matches with Thunder Lips (played by Hulk Hogan), Clubber Lang-an up-and-coming boxer played by Mr. T-is destroying everything in his path. At the unveiling of the bronze Rocky statue, which still stands near the Philadelphia Art Museum to this day, Rocky attempts to retire from the sport of boxing. Clubber interrupts the press conference to challenge Rocky to a fight. Blindsided, Rocky is eager to accept the fight. Mick, however, tries to dissuade Rocky from taking on this particular challenger. You see, for some time, Mickey had known that Rocky had grown soft. Success made him complacent. In order to protect his friend, Mickey only booked easy matches for him. He’d also seen how hungry Clubber Lang was to prove himself and that Rocky had lost his edge, and that a loss, or worse, was imminent. Balboa let his ego get the best of him and accepted the fight. During training, gone were the gray sweats, and “the blood, sweat, and tears” that were spilled at Mighty Mick’s Gym. In their place were screaming fans, camera crews, and live musicians. Unlike in Rocky II, Balboa forgot about doing what worked: the basics. The Lesson: If you’ve reached any level of success, you already know what it takes. But that doesn’t stop us from being lured into what is called “Shiny object syndrome;” maybe it’s that new trendy diet or workout that draws you in with its siren’s call. There are times to experiment, for sure, but the experimentation is done on top of fundamental things that are proven to work. There are basic principles, with training for example, that always work. You might find yourself looking at new exercises or training tools, but an extra set is always an extra set. The day of the fight comes and the Champ is calm, cool, and collected. Clubber Lang, on the other hand, looks like a caged animal; he’s ready to go to war. In the pre-fight exchange between Rocky and Clubber’s camps, Mickey suffers a heart attack. And, then, in the middle of the second round, the unthinkable happens: Rocky Balboa loses by knockout. To make matters worse, Mickey’s failing heart gives out and he passes away. By this time, his entire identity was defined by being the World Heavyweight Champion and it was taken from him. He also lost his trainer and mentor, who had a knack for getting the best out of him. His storied career was ending on a low note. But not if Apollo Creed had something to say about it. Now retired, the former Heavyweight Champion, Apollo Creed, tracks down Rocky to make him an offer: to train him for the rematch against Clubber Lang. Apollo reveals to Rocky the reason for his loss, and it was exactly what Mickey said: he’d lost his edge; he’d lost The Eye of The Tiger. Clubber had something to prove, and Rocky no longer did. As crushing as the losses of his coach and title were, Rocky was dealing with the physiological effects of being beaten; the bruises on his faces were nothing compared to the ones on his ego. After some resistance, he reluctantly takes Apollo up on his offer. Apollo takes Rocky to South Central L.A., Apollo’s old stomping grounds, to start training for the rematch. Balboa’s efforts are half-hearted; he’s holding back and Apollo knows it. She tries to coax Rocky into telling her what’s really going on. At first, he says that he’s done with boxing, but she keeps prodding. Then he admits that he no longer believes in himself because of the easy title defenses Mickey set up for him, but there’s still more. Then he says that he’s afraid of not being able to provide for his family, but Adrian still isn’t convinced. In an explosion of emotion, Rocky finally admits that he’s afraid to fail. He’s so paralyzed by the fear of failure that he can’t even train properly because he doesn’t want to risk losing again. Rocky’s confidence is shaken. Adrian tells him that the rematch with Clubber isn’t about Mickey, the title, the fans, or even his family. It’s about Rocky; it’s about taking action despite the fear in order to avoid looking back and wondering what could have been. He had everything he thought he wanted but lost touch with the part of himself that wanted nothing more than proving to the world, and most importantly to himself, that he could achieve greatness. The Lesson: With every goal, we each have to identify the “why;” we have to know exactly why achieving that goal matters. The goal itself is usually never the reason; it’s usually deeper than that and requires a bit of self-reflection. Having a big chest isn’t the reason you want to develop your chest; it’s what having a big chest will mean to you and what you think it will lead to that matters most. If you don’t know your real “why” you’ll always find an excuse to put off the things you want to do. Fear is a human emotion. We all feel it from time to time. What we do about it is what defines who we are. The only way to get rid of the fear is to face it head on. With his focus is clear, he can finally train for this fight with the seriousness it deserves. We’re now treated to one of the best training montages of the entire franchise, and which concludes with the most epic bro-hug known to man. Rocky gets out of his comfort zone, using training methods that he wasn’t used to. Apollo, now in the role of the mentor, pushes Rocky to deliver on his full potential. The Greatest Hug Ever Hugged. If you want to get better at something, no matter what it is, surround yourself with people who are better than you and challenge you to be better. This is why you find a mentor or hire a coach whenever possible. Instead of wasting time, reinventing the wheel, you can jump right into getting results. Interestingly, Creed was modeled after Mohammed Ali and was arguably the greatest fighter in the Rocky-verse. Apollo was in a unique position to train Rocky, and once Rocky’s head was in the right place, he made sure to take full advantage. Balboa knew that he needed to train with someone who was better than him and could make him a better fighter. Rocky is now ready for the rematch with Clubber Lang. Remembering his “why,” and on the heels of some intense training fueled by his desire to put his doubts and demons to rest, Balboa makes short work of Clubber Lang, regaining his title and his confidence. Some time after the fight, Apollo reveals his motivation for wanting to help Rocky: a third and final bout, behind closed doors, to break their tie and determine which of two was the better fighter. A touching moment between two men who were great friends and bitter rivals, the outcome of the fight wouldn’t be revealed for several decades. Rocky grew complacent; he rested on his laurels and a new contender snuck up behind him and overtook him. For a boxer, you’re only as good as your last fight, and Balboa had been coasting for years. Clubber Lang, on the other hand, was everything Rocky use to be: young, angry, with a chip on his shoulders, and with something to prove. 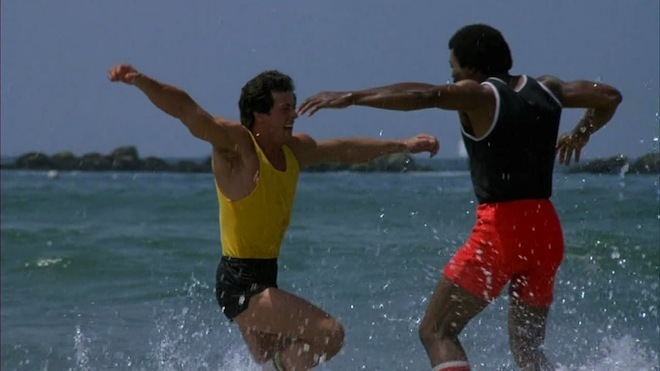 That was Clubber’s “why.” Clubber had “the eye of the tiger,” and Rocky no longer did. The Lesson: The “Eye of The Tiger” is a gift bestowed upon those who know their “why.” It may take some time to find your “why,” but once you know it, you’ll be that much closer to achieving your goals. But if you forget it, it’s only a matter of time before you lose the things you’ve worked so hard for. Another great installment to this series man. Thoroughly enjoyed it!